Juniper Networks has announced that it has discovered "unauthorized code" in ScreenOS, the operating system for its NetScreen firewalls, that could allow an attacker to decrypt traffic sent through Virtual Private Networks (VPNs). It's not clear what caused the code to get there or how long it has been there, but the release notes posted by Juniper suggest the earliest buggy versions of the software date back to at least 2012 and possibly earlier. The backdoor impacts NetScreen firewalls using ScreenOS 6.2.0r15 through 6.2.0r18 and 6.3.0r12 through 6.3.0r20, states the advisory published by the company. 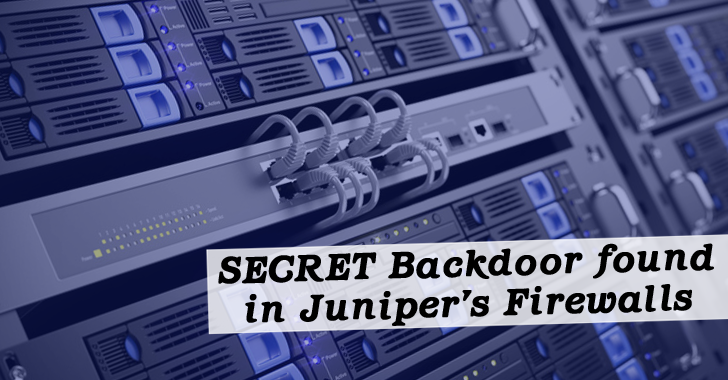 However, there's no evidence right now that whether the backdoor was present in other Juniper OSes or devices. "Juniper discovered unauthorized code in ScreenOS that could allow a knowledgeable attacker to gain administrative access to NetScreen devices and to decrypt VPN connections," Worrall said.